CRAA Meet 2012 opens today! 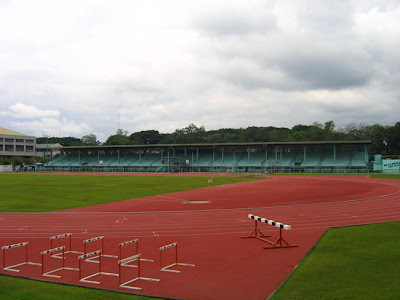 Today, March 18, 2012 is the opening of CRAA Meet 2012 at the South Cotabato Sports Complex. CRAA (Cotabato Regional Athletic Association) Meet is the biggest annual sporting event in the region composed of the provinces of South Cotabato, Sarangani Province, Sultan Kudarat, North Cotabato and the cities of Koronadal, General Santos, Tacurong and Cotabato City. 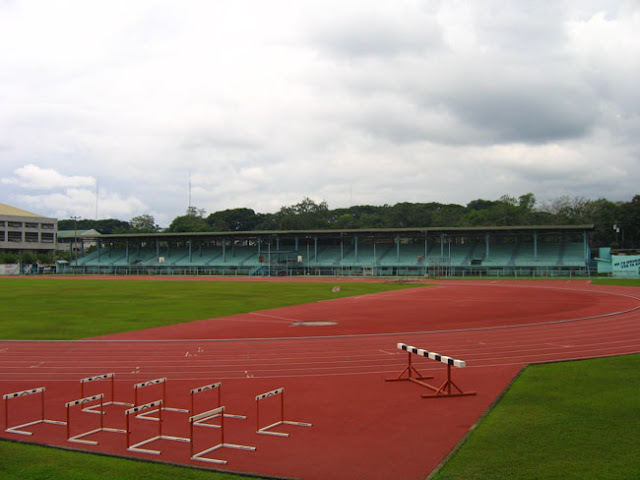 The South Cotabato Sports Complex is once again the venue of most of the major events for CRAA Meet. More than 4,000 athletes will once again compete in different sporting events in athletics, arnis, badminton, baseball, basketball, boxing, chess, football, gymnastics (women’s artistic gymnastics, men’s artistic gymnastic, and rhythmic gymnastics), sipa takraw, sepak takraw, softball, swimming, table tennis, taekwondo, tennis, and volleyball. Athletes who will stand out from CRAA Meet 2012 will have the chance to represent Region 12 in the upcoming Palarong Pambansa 2012 which will be held in the Province of Pangasinan on May 6-12, 2012. The CRAA Meet is now on it's 10th year, last year it was also held in the City of Koronadal wherein the delegation from the Province of South Cotabato was declared as over-all champion. We are posting below the past venues of the CRAA Meet. Which delegation do you think will be this year's CRAA Meet over-all champion?